Phnom Penh (FN), Feb. 5 - We all still remembered that former opposition leader Sam Rainsy dared Cambodian Premier Hun Sen to release former president of the now-dissolved Cambodia National Rescue Party on 3 March the latest. On 9 November 2018, Rainsy dared the premier to resign if Sokha released; if not, Rainsy himself will return home and be arrested. As of 5 February, Fresh News, as a witness for the two parties, would like to remind Rainsy that the result will release within 26 days. The reminder was made following Rainsy’s announcement that he will return home to topple Premier Hun Sen.
“Rainsy shall prepare the air ticket and other compulsory equipment to repatriate and enter prison as a result of losing the bet with Prime Minister,” analyst said Tuesday. 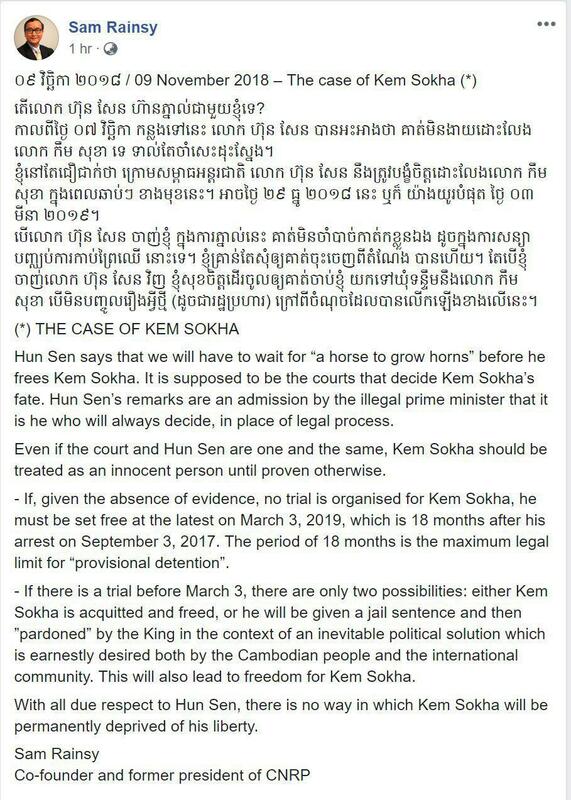 Sam Rainsy bet with Premier Hun Sen that Kem Sokha will be released in between 29 December 2018 - 3 March 2018, as he believed that Sokha’s pre-trail detention will end no later than 3 March 2019. Analyst Chao Chak Smuk said that Rainsy is just a coward who always broke promises; and good at lying. “Even though Rainsy will lose, he will not return home as promised,” analyst stated. Sok Sokun a.k.a James Sok, an independent analyst based in the United States, recently commented on his recent video, expressing his deepest condolences for Cambodians in United States for financially contributing to the opposition party hoping in return to get a position in the party or government. 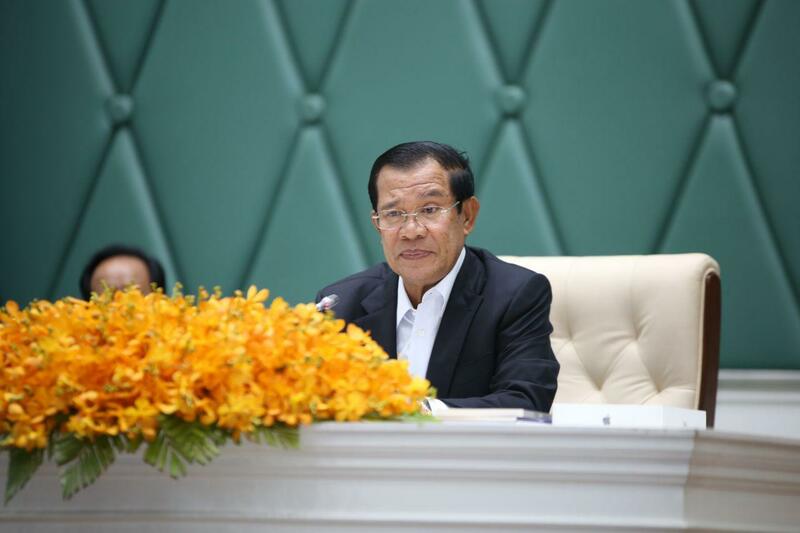 James asked why Cambodians are so naive to trust the propaganda of the opposition party? “It’s not easy like what you thought,” he advised the supporters of CNRP.